IBPS SO 2018 notification has been released by the official website of IBPS i.e www.ibps.in and the preliminary exam of the same will be held on 29th & 30th of December 2018 and the main exam will be held on 27th January 2018. 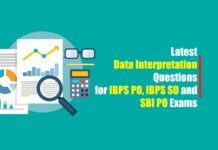 IBPS SO 2018 will be held in two different phase’s i.e. Preliminary exam followed by the Mains exam. But the only candidates who qualify the Prelims will get to appear for the Mains exam and after qualifying both the phases, the candidate will be called for the Final round which is called to be Interview. 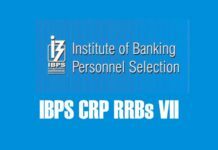 Institute of Banking Personnel (IBPS) has not yet declared the official notification for the post of Specialist Officers for 2018 yet but it is expected to get updated on its official website by June End of July. Also, the number of vacancy for the post of Specialist Officers in 2018 is yet not declared, as this will be again declared in the same official notification by IBPS. However Last year i.e. in 2017-18 IBPS has declared the vacancy for the post of 1315 Specialist Officers which was later increased due to high demand in various PSB’s. Before this year, for IBPS Specialist Officer Preliminary exam, there was a total of 2 hours for all three subjects of Quantitative Aptitude, Reasoning, and English, But from this year, IBPS SO 2018, it’s expected to have set a time limit for each of the subjects in the Preliminary exams. Note: It’s not certain yet. Age (As on 01.11.2017): Minimum: 20 years Maximum: 30 years i.e. a candidate must have been born not earlier than 02.11.1987 and not later than 01.11.1997 (both dates inclusive). The cut-off for each exam for the post of IBPS SO in 2018 will be released after each exam. i.e. when Prelims of IBPS SO 2018 is finished only then the Cut-Off will be declared for different category’s candidates. (iii) Keep the necessary details/ documents ready to make the Online Payment of the requisite application fee/ intimation charges. (iv) have a valid personal email ID, which should be kept active till the completion of this round of Common Recruitment Process. IBPS may send call letters for the Examination etc. through the registered e-mail ID. Under no circumstances, a candidate should share with/ mention e-mail ID to/of any other person. In case a candidate does not have a valid personal e-mail ID, he/she should create his/her new e-mail ID before applying online and must maintain that email account.